Crime drama set in the suburbs of Utrecht. Promising young kick-boxer Majid (Marwan Kenzari) is gaining increasing amounts of attention for his endeavours in and out of the ring. Despite his troubled upbringing, Majid tries to turn his life around through a programme that enables him to pursue kick-boxing as a serious career and obtain a manager who believes in his promise. 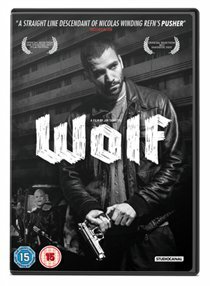 As he becomes more involved in the criminal underworld through his chosen profession, old habits resurface and Majid soon begins to lose the importance of what he set out to achieve.